The Cessna 210 is a fantastic all around airplane and arguably remains the best high performance single ever produced. I gradually reduce power, followed by a stroke of nose down trim and begin a gentle bank angle that starts almost imperceptibly but gradually increases during the turn as I enter the downwind leg. 10 degrees of flaps slows the plane while the wings level and the gear starts coming down. Fuel is selected to the fullest tank and several seconds later the green light illuminates, indicating the gear is down and locked. I am abeam the numbers by now and the airspeed has slowed enough I can add more flaps. Now the power comes back to 12 inches and I feel the subtle braking of the propeller. Mixture full rich and propeller full in. A final look at the green gear down light confirms the go ahead to land and the power slowly decreases to idle while gently lifting the nose. The tires squeak and the 210 rolls to a stop. It’s like a beautiful piece of music and the Cessna 210 Centurion rivals any plane with its fluid and predictable behavior. With the exception of the Brasilia I flew at a regional airline, more time has been recorded in my logbook flying a Cessna 210 than any other aircraft. I think I have flown nearly every model year of the 210 produced and worked on nearly as many over the years. Turbocharged and normally aspirated models; they are all great airplanes. You could say that I have a connection with these aircraft and feel as though I know their heartbeat. This is an aircraft that can carry your load and get you there quick. It’s stable, comfortable, smooth and it looks good. It’s a great all-around airplane that does most things well. Anyone I know who has flown these aircraft will tell you what a great airplane the Cessna 210 is. Those who have read my articles know that there are not many aircraft I don’t like, but this is an airplane I love. The Cessna 210 was introduced into the aviation market place in late 1959 after a 4-year process to develop a high performance, retractable single engine airplane that would compete with the popular Beechcraft Bonanza. Cessna did not have an aircraft model to bridge the gap between their fixed gear 182 and their twin-engine model 310. Because of this, they were losing customers to Beechcraft, as owners wanted to transition from the 182 to faster and higher performance aircraft but were not quite ready for a twin. Engineers went to work developing a way to retract landing gears into their high wing aircraft. This new model was certified with a fuel injected 260 horsepower engine and sported a fancy new swept tail. The new 210 was a high performance, complex single that nearly matched the performance of its competitor. It was an unpredictable answer, to retract the gear on a 182! It became very popular in the marketplace and each year following its introduction, the aircraft was improved until it became the industry leader in its class. Even today it is arguably considered one of the best high-performance singles. When the final Cessna 210 rolled off the assembly line in 1986, it was a very different airplane than that first revolutionary model. What started out as a fancy new 4 passenger retractable airplane for the time ended up becoming a very capable 6 seat, high altitude, load carrying machine that is comfortable, stable and reliable. That original airplane must have seemed so advanced. It was introduced with a fuel injected 260 horsepower engine and cruised around 170 knots. It was equipped with a complicated and awkward retractable landing gear system that must have been the topic of a lot of hangar talk. These lame duck gear legs were controlled by a complex, and what proved to be troublesome hydraulic power pack that also controlled the flaps. And although in its day, it was a revolutionary and awesome aircraft, today, these first generation aircraft have become expensive to repair and difficult to find parts for. This is the main reason you find these early 210s selling for low prices. The engineers worked hard and made improvements to the hydraulic system with each new model and within a few years, most of the problems that plagued the early Cessna 210 landing gear systems became non-existent. On the “D” model 210 in 1964, the flap system was made electric rather than part of the hydraulic power pack like its predecessors and this further improved the 210’s reliability. By 1972, with the introduction of the L model, the hydraulic power pack was run by an electric motor rather than an engine driven pump and this marked another dramatic improvement to the aircraft. Other significant changes occurred as the aircraft evolved. One, in 1966, was the optional installation of a turbo charger. It was simply called the “Turbo 210” or “T210”. Even though the aircraft got its official name of “Centurion” in 1964, most identify the turbo models as just that. This gave the airplane the ability to climb out over weather in addition to improving true airspeed in thinner air. This changed the airplane into a real contender for fast, comfortable IFR cross-country travel. Although changes were made to nearly every model, the most notable one occurred in 1967 with the “G” models. The strut-braced wing went away and was replaced with a cantilever laminar flow wing. It was placed slightly aft of the previous wing by about 4 inches and gave improved visibility when looking left or right. This model has a unique appearance and is easily identified because engineers designed a 3-degree dihedral into it, making the aircraft have a slight gull wing appearance. This was done because the aircraft was not quite as stable in slower flight with the new wing. Only the 1967 and 1968 models have this increased dihedral that improves lateral stability and in 1969, it was reduced down to one and a half degrees. A rudder aileron interconnect was added to provide the stability it otherwise needed. A minor engine change in 1969 allowed the less attractive chin, where the nose wheel lives when retracted, to be eliminated. The engine now had a flatter oil pan, allowing the nose gear to retract more, which gave a more rounded and smoother look to the lower forward area on the cowling. Flat steel spring landing gear legs were replaced in 1970 with wider tubular steel gear legs. This allowed for a number of additional changes that offered some nice features. With a wider gear stance, the wheels entered the fuselage further aft when retracted. This made room in the cabin to increase the size of the 5th and 6th seats, which were previously child seats, and could now comfortably seat 2 smaller adults. A larger baggage area with a bigger door was placed behind the rear seats and the 2 side windows behind the doors were changed to one long window. This gave the pilot and passengers an improved view and the Cessna 210 a more attractive appearance. By this time, the aircraft had a 3800 lb. gross weight, carried 90 gallons of fuel and had a useful load of somewhere over 1500 lbs. 10 years had now passed since the 210 entered the market and it was now the leader in its class, with a higher payload, faster speed and greater range than any of the competition. That was 45 years ago and today, the Cessna 210 Centurion arguably remains the best high-performance single ever produced. Although there were a number of changes over the next few years, the aircraft remained largely the same until 1977 with the “M” model. The turbo model got an engine change, boosting the power an additional 25 horsepower, now up to 310. The takeoff and climb performance increase was a noticeable improvement. Today, this higher performance engine has become a popular upgrade available for the earlier T210s, with a number of STCs available. In 1979, the “N” model would become the most popular of them all and nearly 2000 were built. It had a 200 lb. higher gross weight at 4000 lbs, and they eliminated the main gear doors and simply left exposed cavities where the wheels reside when retracted. This airplane, along with the P210, or pressurized version which came along in 1978, were the first single engine airplanes ever certified for “known ice”. The production line ended with the T210R/210R in 1986, along with the rest of the Cessna line, due to economic conditions. Only a few of these aircraft were made, with even more powerful 325 horsepower engines. I have never seen one of these airplanes. Although Cessna began building aircraft again in 1996, the 210 series never came back. It was determined to not be economically viable. If I were to shop for my idea of the perfect model Cessna 210, it would be post-1971 with the electric gear pump, tube gear legs and later cabin design. There are plenty of modifications available to the Cessna 210 series aircraft. I’ll talk about a few of the ones I am most familiar with. The factory exhaust systems on the turbo model have an AD note (airworthiness directive) that requires an inspection and pressure test every 50 hours. This is to check for cracks that tend to develop in the heat exchanger which leads to carbon monoxide in the cabin. This exhaust system is very challenging to work on because everything is packed into very limited space. The original system has a crossover pipe that is bolted to the rear cylinder on the right side, then stretches across the back of the engine where it collects exhaust from the left side, across the front and then goes into the turbo back on the right side again. It pieces together with clamps and slip joints. It is difficult to work around and it borders on what seems like impossible to remove and install. Mechanics learn a number of new swear words as they acquire the special skills for this work. But after a time, they find tools that work and ways to access these difficult areas, and eventually they feel a sense of satisfaction at being able to do the work. Mechanics would all agree that working on a Turbo 210 exhaust is one of the more difficult jobs they do. Knisley Welding, a California company, produces a modified system that eliminates this cross over tube in the back. The exhaust system is still difficult to work on, but the elimination of this rear pipe makes it better and opens up access to the backside of the engine where mechanics occasionally need to work. Easier access is not the only benefit. With the pipe removed, less heat is transmitted to an area where the fuel pump lives, engine controls are located and hoses are carrying fuel and oil. Less heat to these components is a good thing. The modified exhaust is not cheap but it’s a good investment, especially if your aircraft has an older system. Another benefit to installing this modified system is that it allows the inspection required by the AD note to be extended to 100-hour intervals rather than 50 hours for the factory parts. The exhaust system takes a lot of abuse and should receive special attention to ensure it remains airworthy. Air vents on the 1970 and newer models are located in the center section of the headliner above the pilot and copilot. These barrel type vents were poorly designed and are completely worn out on most of the airplanes. Aircraft Spruce sells a kit that works really well to fix this problem. It utilizes “wemac” or “eyeball” type vents that rotate and shut off completely without any trouble. These kits tend to be a little expensive and require a few hours to install, but they solve the air problems completely and are a permanent fix. An inexpensive and simple modification any Cessna 210 should have is a convex mirror that mounts to the underside of the wing to offer a clear view of the nose gear and main gear positions in flight. This mirror, made by Wilco is easy to install and afford. I have worked on a number of turbo models that have been modified by the installation of an intercooler. This radiator like device is installed in the induction system behind the air filter and is designed to drop the intake air temperature a few degrees. This drop in temperature helps reduce the probability of detonation and increase the density of air entering the cylinders. I am not an expert on intercoolers, but I have not seen any great improvement in cylinder life or performance when installed on the Cessna 210. Given the high cost of having one installed, I would not personally spend the money. They also require some additional work when it comes to oil changes and other work inside the engine compartment. I am certainly not negative about them, I just don’t know if they are worth the investment. Original fuel caps were a flush type design with a lever that used a cam action to tighten the cap against a big o-ring seal. The design has proven to be problematic, because not only do the big o-rings deteriorate and begin to leak, but the center shaft attached to the lever also has a seal that deteriorates and leaks. This can be a big problem if the airplane is left out in the rain or when it’s washed because water pools in the recess where this shaft is located. If it leaks, the water goes into the tank. Combined with the outer seal leakage, this can allow significant amounts of water into the tanks. If you think back to your early training days, you can probably still hear your instructor’s voice ringing in your ears about the hazards of water in your fuel tanks. To make matters worse, the early 210s, up until the struts were eliminated, had bladder fuel tanks that were subject to wrinkles that developed on the bottom of the tanks. These wrinkles sometimes hold fluid away from drain valves located in the inboard section of the wing bottom. When this happens, the pilot’s preflight testing of the fuel gives an erroneous conclusion that the tanks are free of any water. The answer, of course, is to not allow any water in the fuel tank. Two options exist. One is to install Cessna “reduced diameter caps”. These caps were available from Cessna in the 80s at an inexpensive price. They not only sealed the tank opening tight, but also made the inlet hole small enough that jet fuel nozzles would not fit, greatly reducing the possibility of mis-fueling episodes. Unfortunately, these caps have now become very costly. The second and possibly better option is to install Monarch caps. These aftermarket caps, sometimes called “umbrella” caps, do just what the name implies. They provide an effective cover in addition to a positive seal where water cannot get in. These airplanes should have the original flush caps removed and new ones installed. The 210N/T210N aircraft came from the factory with no gear doors installed on the main gear. This may have been an attempt to reduce the manufacturing cost or simplify the system. Kits have become available to remove the main doors on the earlier aircraft also. Although there may be some advantages to do this modification, I am not generally in favor of it. I personally like the look of a beautiful Cessna 210 Centurion with gear doors installed. As far as I can tell, there is very little, if any, speed difference with or without the mod, although some report a 2-3 knot decrease with them removed. I think some remove the doors to make the airplane appear more modern, like the N model. Most remove the doors because of the theory that less parts means more reliability and less problems. When the doors are removed, there are also 4 door actuators that are taken off. It’s true that this reduces some potential for problems, but truthfully, most of the problems with 210 landing gear systems occur inside the power pack or in the electrical side of it. Removing the doors does not change the sequence of events that must happen inside it. In my opinion, removing the doors makes little difference to the reliability of these aircraft. It is expensive, time consuming and requires paint repair. If I was involved in repairing a ship after a belly landing where gear doors were damaged, I might give removing the doors some serious consideration, but otherwise I would leave the airplane stock. Things wear out, things deteriorate and things break. If this is true in any industry, it is even more true in aviation. Aircraft need constant repair, inspection, and upkeep whether they get used or not. In fact, it’s a common theory that aircraft have more problems and need more repair when they are not used regularly. Everyone wants more power and if you own most any Cessna 210 prior to 1977, you can get it. By far the most common upgrade for a Turbo model is the installation of an “R” 310 horsepower engine. This additional 25 horsepower makes a noticeable difference to the take off and climb performance. It also may make a small difference in true airspeed depending on how high you fly. The upgrade mainly increases the allowable take off and cruise manifold pressure of the engine. Stock Turbo 210’s manifold pressure redline is 32.5 inches and max cruise is 27.5, while the upgrade allows for 36 inches on take off and max continuous of 32 inches. Even though the power increase is obtained mainly by boosting manifold pressure, it requires a different engine known as a “TSIO-520R”. It also requires the installation of a different model prop (if not previously installed), a different controller and relief valve. It all adds up to be an expensive upgrade but makes the airplane more capable. All this said, I will offer this one thought: the airplane was and is a great performer in its stock condition. 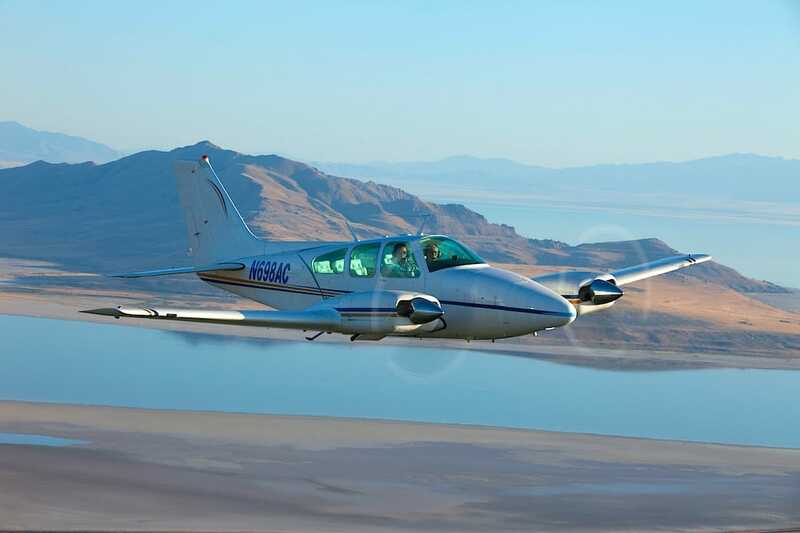 Cessna engineers created a combination that works well together. I currently fly a stock T210G for a local company. It is smooth, fast and economical and is now due for an overhaul. There is no conversation of doing an upgrade because it simply does not make economical sense for an aircraft that is working for a living and performing as well as it does. The normally aspirated 210s also have a variety of engine upgrades, with the 300 horsepower IO550 conversion being one of the more popular. Again, it’s fun to make these power improvements to the aircraft but not necessary. I own a 69 model Cessna 210 with a standard factory 285 horsepower 520 installed. It performs very well and cruises a solid 160 knots. I see no reason to mess with a good thing. A major concern for an owner or prospective owner of any aircraft is keeping the airplane safe and reliable. It’s no secret you will need a good mechanic. The first time I looked at a T210 engine knowing I had to change a set of cylinders, I wondered if it were even possible. It looked like there wasn’t room to slide a piece of paper in the engine area. I had never seen anything so tightly packed and it appeared to be a task that may require removing the engine. I was assured by my boss it was possible and to just get started. By the time I finished, I had cuts and bruises all over both hands and arms and was mentally and physically exhausted, but I knew it could be done. Over the past thirty years I have changed hundreds of cylinders on them and now don’t think twice about it. If you are going to operate a Cessna 210 or any aircraft with a big bore continental engine, you should prepare yourself for the occasional cylinder change. On a turbocharged Continental, mid time engines will often require a top end overhaul. There are a number of factors that influence this idea such as frequency of use, calendar life, pilot technique and overhaul standards. In short, plan on some cylinder changes and be pleasantly surprised if you don’t have to. Landing gear systems on the 210 series seem awkward and complicated and normally intimidate the mechanic faced with his first experience troubleshooting them. The truth is, they are complex, but with some time studying the maintenance manual, a handful of tools and some willingness to tinker, a good mechanic will come to understand the logic of it and be capable of repairing them. Each variation of hydraulic power pack and electrical interface has its own unique challenges. Although the problems are wide and varied, the most common issues generally have to do with electrical problems or low hydraulic fluid. Once you have a clear mental picture of the electrical and hydraulic schematics, troubleshooting becomes much easier. Cessna suggests the power packs be overhauled every 8 years. This work includes replacement of all the rubber seals, inspection of all the internal parts and proper set up of the valves inside. I think good common sense should prevail with these calendar life cycles provided by the factory. Time intervals for overhaul or replacement specified by manufacturers are not regulated by the FAA and there is no requirement to follow this criteria unless you operate the aircraft under a part 135 (charter) certificate or there is an airworthiness directive that requires it. Considerations like how long it has been since the last overhaul, climate conditions, color and odor of the hydraulic fluid and previous heat abuse the system has taken should help make decisions easier about overhauling the power pack. If the landing gear power pack is in good order, has adequate fluid and has not been abused, the system will work very efficiently for a long time and will likely not need to be overhauled every 8 years. I run into folks often who are considering the purchase of an aircraft. 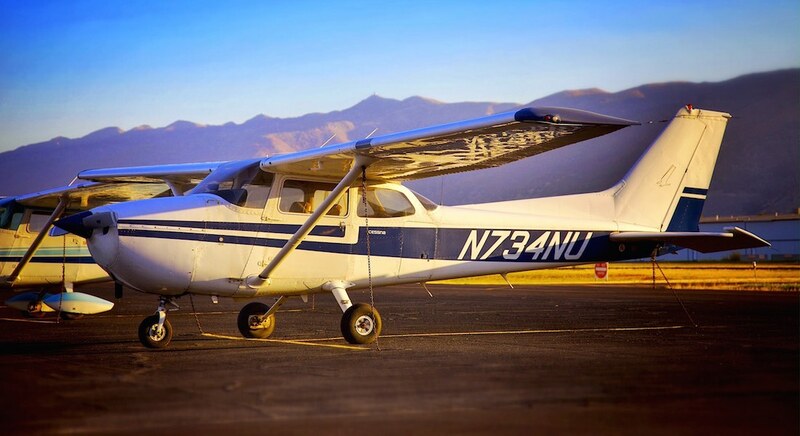 Many of them would strongly consider a Cessna 210 but have heard or read information that leads them to believe insurance would be hard to get and overly expensive. While it may be true that getting good coverage is not always easy, I think shoppers should make a serious attempt to obtain a few quotes before abandoning the idea. Insurance agents seem to specialize in certain areas of the industry and have contacts and arrangements in place with underwriters. Some agents are more knowledgeable in areas that others are not. I have owned three 210s and have always found insurance for reasonable rates. I don’t think my current rates for my 210 are any more expensive than other aircraft are. It is true that underwriters typically prefer the owner to have an instrument rating and will charge a hefty premium if they don’t. I have seen examples of double and triple the normal rate for a non-instrument pilot who has no Cessna 210 experience. The truth is that insurance companies require the same thing for other high-performance singles and charge high amounts if the pilot is low experience and not instrument rated. Statistically, these are the highest risk group of flyers. Low experience pilots who can afford expensive, high-performance aircraft. No offense, but some of these pilots are the folks who believe they are immune from the hazards and can handle any situation they are faced with. They may believe they are a little smarter than the rest and all too often become one of the statistics that cause insurance rates to be so high. You can’t buy experience, so get the instrument rating and find a way to get experience in type and you will find affordable insurance. The 210s do face some challenges that have negative effects on insurance, however. This is mostly due to the aging fleet and the repairability of some of the models. For example, last year I repaired a 210C that landed gear up in a snow covered field. There was very little damage except that the nose gear doors were destroyed. New doors from Cessna had a hefty price of $8,000 a piece, but even worse, they weren’t available. Cessna had none in stock and no projected dates of when there may be more available. I eventually found a company that built tooling and made a set for us. With the first set complete and tooling in place, they plan on producing them for the industry. The fact that doors were unavailable was causing some insurance companies to stop writing policies on these aircraft since they don’t like to insure aircraft they can’t repair. As with any other industry, supply and demand will generally take care of itself. Many will argue the pros and cons of a turbo charger, but here are a few facts to consider. Turbos provide boosted manifold pressure or power up to the rated altitude. This provides for better/faster climb rates and true air speed. They also give better take off performance at higher altitude airports and impress your friends when you tell them you fly a “Turbo 210”. On the other side of the spectrum, they cost more. A byproduct of the added power is that a turbocharger produces more heat, and the heat causes additional wear and tear. Cylinders wear out quicker and are damaged more easily with the additional heat. Exhaust systems and external engine components like magnetos, induction and oil hoses, and engine control cables also see shorter life spans with the higher temperature. When it comes time to overhaul the engine, there are higher costs incurred due to the requirement to rebuild each of the additional components of the turbo system. Waste gates, controllers, pressure relief valves, intercoolers and hoses all need service, upkeep and overhaul at the appropriate times. Maintenance costs are also higher because leaks in the induction and exhaust systems crop up occasionally and require repair in addition to all the routine adjustments that come up. All of this, coupled with a more tedious and difficult work environment inside a tightly packed engine cowl add up to an increase in the cost of ownership. Turbochargers are a great addition to an aircraft, but if you don’t have a specific need for high altitude operation, you may want to consider going with a normally aspirated model. I have flown side by side at 8500 feet with a turbo model and my normal aspirated Cessna 210 is faster, burning less fuel. It’s a different story at higher altitudes. Every airplane has its own unique skeletons in the closet and the 210s are no different. These aircraft have a personality and pilots need to come to understand and accept its quirks. I have already spent some time discussing landing gear issues. Now its time to talk about them again from an operational point of view. The sequential nature of the locks, gear legs and doors moving in the proper order require the ‘trust but verify’ theory. This is something I learned while flying for the airlines that taught me to always make sure the desired result actually happens when a switch or selector is moved. The landing gear system on all 210s are controlled by a combination of electrical power and hydraulic fluid regulated by a “power pack”. High-pressure hydraulic fluid is channeled to a specific area and time by the use of manual levers, solenoid valves, and pressure valves. In an earlier airplane (models up through 1971) equipped with an engine driven hydraulic pump, the pilot must verify the entire sequence gets completed by a physical movement of the landing gear selector handle to a neutral position once the gear doors close at the end of the cycle. This is important because that physical movement of the handle is a visual confirmation of an actual valve movement inside the pack. The high-pressure hydraulic fluid is relieved by the valve movement, allowing fluid to simply circulate unpressurized, yet ready to go to work any time the selector is moved again. The handle is popped to this neutral position by a mechanical hydraulic valve that moves when pressure in the gear door plumbing lines builds to a certain point after the doors actually close. All this discussion is important because sometimes the valve does not move as predictably as we would like. If fluid level is low or other anomalies occur, the handle may require some help from the pilot to move it. If the handle does not pop to neutral and is left unnoticed, the high pressure will result in destructive high fluid temperatures and risk damage to the pack. An easy trick that will keep you paying attention to the selector handle position is to simply hang your little finger off the throttle where it will lightly rest on the gear handle after switching gear up. This will remind you to pay attention to its position while keeping your eyes outside the cockpit. When the cycle finishes, the handle will pop down about an inch and a half, out of your fingers reach. This procedure keeps your hand on the throttle during the initial climb, your eyes outside and a gives you a physical reminder of that handle position. If you make it a habit, you may save yourself from an expensive repair. Later model aircraft with electric pumps operate slightly differently, but you still want to pay attention to the system by glancing down to ensure the yellow “up” light illuminates and then listen for the electric motor to stop running. If the light does not come on, the system will not move on to shut the doors. Each gear leg has a micro switch that is wired in series so if any one switch is not “made”, the light will not come on. If this happens, the doors will remain open and the electric motor will continue to run, risking its failure. The main point is that the pilot needs to be aware of the entire cycle of the landing gear system. The event takes 20 or 30 seconds when things work normally, so it’s important to have the ability to divide attention between the normal flying responsibilities and monitoring the systems in the aircraft. It is very easy to skid a tire, making flat spots on the roll out after landing on all the models. The Cessna 210 and 210A had small main tires with powerful double piston brake calipers and they tend to skid very easily. The other airplanes got very large and effective flaps making it light on the wheels until it becomes relatively slow after landing. Again, with very effective brakes, the tires will skid easily. Don’t relax on landing, especially in gusty conditions, until you get it slowed way down. I don’t normally promote raising flaps on the rollout after landing because it can be distracting and mistakes can occur, but there may be some consideration here if conditions warrant. The sooner you can get the full weight of the aircraft on the main wheels, the sooner you can use full braking to get stopped. Most of the Cessna 210 series have a requirement to display a placard on the instrument panel, along with a procedure card available to the pilot, concerning fuel flow fluctuations and vapor locking. The problem of vapor locking is most prevalent on Turbo models and is easily remedied by switching fuel tanks and turning on the boost pump. While it is not something that happens often, a pilot should be able to quickly recognize it and deal with it. I have only experienced the problem one time in all my 210 flying. Turbochargers develop more power by using the exhaust flow from the engine to pump additional air into the intake system. This increased volume of air combined with more fuel makes a bigger fire in the cylinder and consequently more power. Seems like a good deal but like most things, nothing comes free. Everything runs hotter inside the cowling and as a result, causes more wear and tear. One of the pilot responsibilities is to manage this heat as much as possible. He does this with the proper use of fuel, cowl flaps and power management. Fuel is used as a coolant, especially during the high power settings on take off. We don’t often think of fuel as a coolant but if you do, it will help you recognize the importance of running full rich on take off. The fuel flow needle on the gauge inside the cockpit should rest on the redline during take off and climb until a cruise climb is established. In fact, all 3 of the power gauges, manifold pressure, RPM and fuel flow should be right at red line on take off. Any other setting is not producing the correct conditions for your engines cooling requirements. I have seen several pilots who believe they are preserving their engine by using partial power on take off. Don’t do it! Keep in mind this information is for Turbo models. Normally aspirated models are operated at full throttle on take off and at higher altitude locations may need a little leaner setting for take off than full rich. RPM should still be red line. Cowl flaps are nothing more than hinged openings at the bottom of the cowl allowing the pilot to have some control of the flow of cooling air through the engine compartment. Closed cowl flaps result in less air flow while open gives more. Engines produce more heat when high power is demanded, like take off and climb, and less heat while descending with power reduced. Your job is to attempt to balance the temperature variations with cowl flaps. They should be open on take off and climb for max cooling and closed during reduced power descents in order to retain the heat. This temperature management will help avoid abrupt expansion and contraction and reduce potentials for cracks developing in the engine. This idea of power management extends to include procedures for reducing power and slowing the airplane during descents. Industry experts generally suggest power reductions should be completed in steps to cool the engine gradually. This is particularly true with turbocharged models. A rate of reducing power 1 inch of manifold pressure every minute seems to be a good baseline. So if you are cruising your 310 horsepower turbo 210 at 32 inches of manifold pressure you should plan 10 minutes of cool down, from 32 to 22 inches. At 22 inches you can do what you need to with power to establish yourself in a good power setting for landing. This means you will be doing powered descents from altitude and will need to plan ground speed and descent rates to arrive at the right place at the right altitude at the right power setting. This is one of the things about high performance, high altitude flying that becomes very rewarding and fun. One last comment I will make about operational considerations is about fuel tanks and proper filling procedures. The tanks on ‘67 and later model airplanes are integral and are long, narrow cavities in the wings. When filling them the airplane must be level and the last few gallons have to go in slowly. If not, the fuel guy will inadvertently think the tank is full when it is not. Be patient when filling the last few gallons and wait a few minutes to verify the tank is completely full. This means right up to the cap. It is not uncommon for inexperienced people to leave the tank several gallons low, which presents a big safety issue for those long distance flights. Someone asked me the other day if I had to choose one airplane that was my favorite, what would it be? I stammered and stuttered for few minutes, trying to qualify the question with a bunch of conditions like “it depends on….” , and “what type of….”. I finally came to my typical, non-committed answer and still felt like I was betraying all other airplanes of the world. You see, I have been very fortunate to have the opportunity to sit behind the controls of a lot of different aircraft. My job and my passion have led me to experiences that are unique and varied and there is hardly an aircraft I have flown I haven’t enjoyed. Luckily, so far in my life, I don’t really have to answer that question. For now, I will continue to divide my affection between several aircraft I can be close to. Reluctantly, though, I finally answered the question and the Cessna 210 was the winner. It’s not because the 210 is the prettiest of them all, and it’s not that the 210 is the fastest or best flier. It’s because it does so many things well and if you are going to own an aircraft to go places, it does this with the most benefits for the dollar. Considering acquisition, operating and other ownership costs, it gives the greatest return of any aircraft. If I am traveling somewhere with my family or for business, my first choice is the Cessna 210 because it is the most comfortable, stable and fast aircraft I own. How lucky can a guy be? This article is by no means a comprehensive history or complete listing of specifications and technical data about 210s. It is simply my thoughts, observations, and opinions. My 210 gear doors won’t close when I retract my gear. It’s a 1964 210D and no FBO’s in my area want to touch it. I feel like it’s electrical. I get red light but Handel doesn’t return to neutral position and doors remain oper. When I put the gear down the green light comes on and doors shut. What do you think it is? Early in my flying career, I was fortunate to own and get around 150 hours of PIC time in a 1981 210N and a 1980 T210N. Great airplanes, and I will never forget the experience and fun of flying those aircraft. True traveling machines! The only other aircraft I owned that ever came close to duplicating the feel and performance of those 201s was a 1965 Mooney M20E. Nearly as fast on a lot less av gas, but not nearly the room and load-carrying capacity (although the pilots’ seats up front had plenty of room once you got in there!). Fly the 210 for business, and the Mooney for fun! How many seconds does it take a C210K model gear to cycle DOWN and also UP while in flight (not on the stands)? Great article. I have a 210L and love it! Recently we blew a high pressure hydronic hose and ran the power pack dry. Was able to make safe landing but ruined powerpack. I have been told that there is a modification to add a light to the power pack tha illuminates whenever the pump is running – do to know anything about this modification?